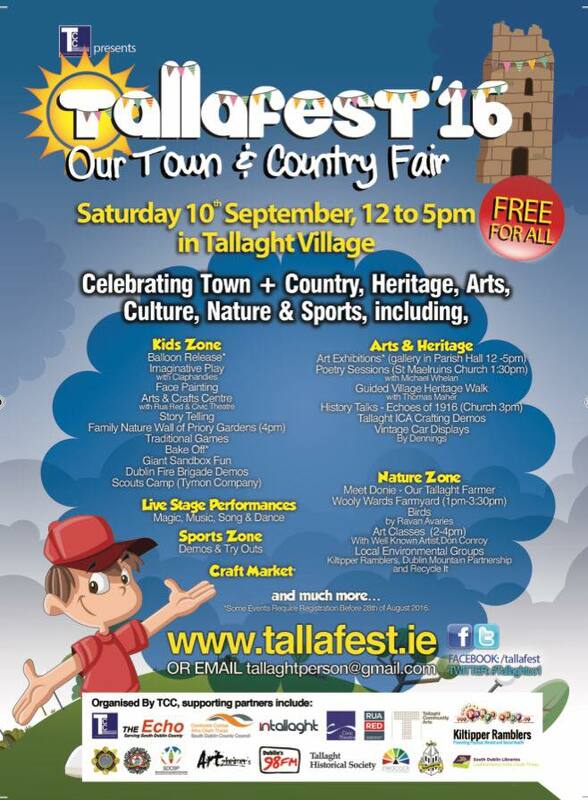 Tadg Riordan Motors are proud to be included to the line up of local businesses attending Tallafest 2016. This is the fourth year of the village festival, which takes place in the grounds of the Priory at the heart of Tallaght village. The festival was created to energise the village and to celebrate its heritage, arts, culture and creativity. We can look forward to an afternoon loaded with activities and entertainment for all the family from guided history walks, art exhibitions, to imaginative child's play and an afternoon of live entertainment on the main stage. We will also have a selection of our Toyota Hybrid Cars on display. A Full list of events and activities can be found on the Tallafest 2016 website.